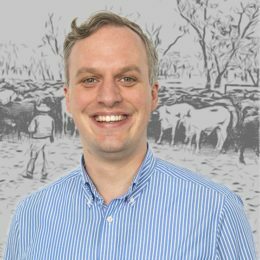 We believe the experience that comes from working with successive generations of clients on the land means we can help farmers and graziers find the best path toward their objectives. 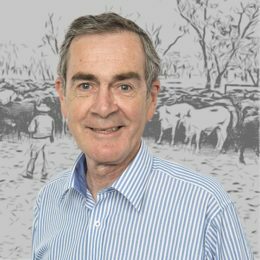 We have been working with farmers and graziers in Queensland, the Northern Territory and the border river areas of northern New South Wales for nearly 40 years. We know and understand the rural sector and offer a complete range of legal solutions to over 1,200 corporations and families operating in agriculture. 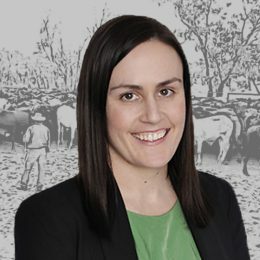 Our clients know their business transactions are secure because they are drawing on the knowledge of the most experienced team of agribusiness lawyers in Queensland. 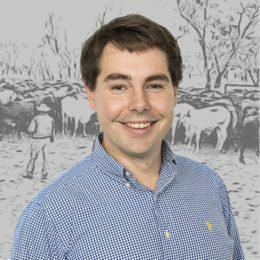 Lawyers recruited to join the firm’s Agribusiness practice are chosen for their passion for agriculture and in many cases maintain close ties with their rural backgrounds. Our clients benefit from our strong rural network. We stay in regular contact with peak rural industry organisations and have strong links with rural stock and station agents, accountants and other professionals who share our interest in the issues and opportunities facing Australian agriculture. 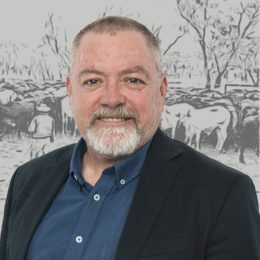 We have been involved in some of Queensland and the Northern Territory’s headline rural property transactions and our specialist knowledge of the unique land tenures in rural Australia has assisted clients attain their goals. Many businesses and individuals have been affected by the increase in mining, coal seam gas and infrastructure development throughout regional Queensland. We have negotiated or litigated over 300 difficult compensation and access arrangements in the Land Court on behalf of rural landowners in the last two years, giving our clients better compensation, greater control of the outcome and better security. We believe in sharing the knowledge we’ve gained in nearly 40 years in the rural sector. We have authored three successive editions of the laws affecting primary producers in Queensland, the Legal Guide for Primary Producers, published by the Law Foundation Queensland and the Queensland Law Society. Exploring solutions is easier face to face. 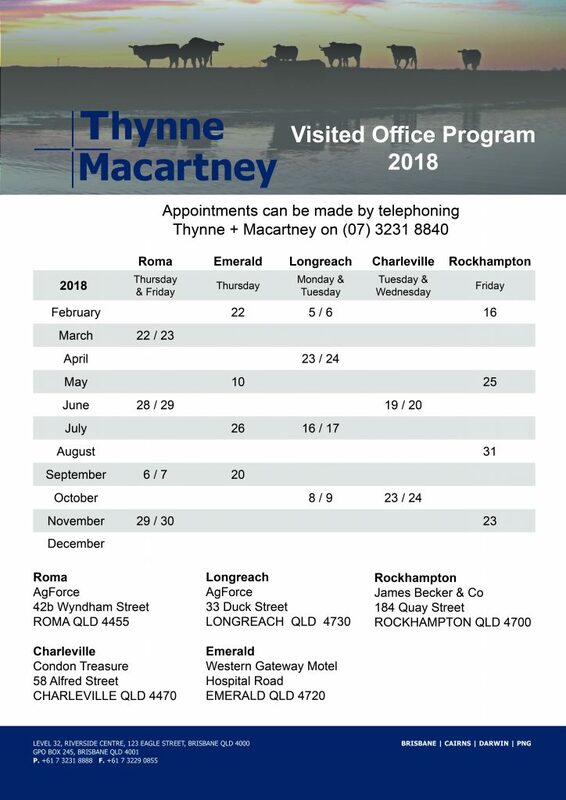 We maintain a visited office program involving regular scheduled visits to Roma, Charleville, Longreach, Emerald and Rockhampton. Our team is leading the way in agribusiness law. 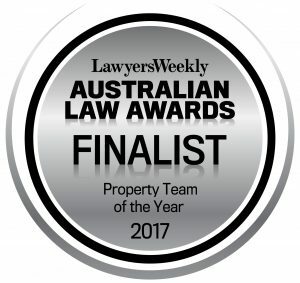 We were the only agribusiness team named in the First Tier of the Doyle’s List Leading Agribusiness Law Firms – Queensland 2016. To find out more about our expertise and services, please visit our Agribusiness page. Whether you’re growing stock, crops or wealth – we’re with you.